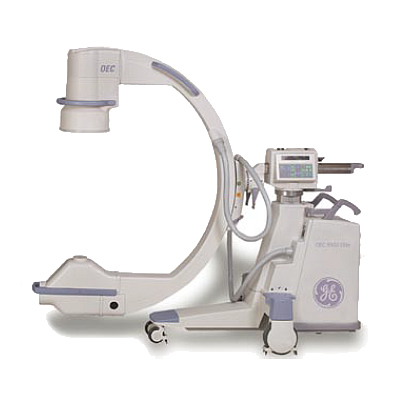 The GE OEC 9900 Elite C-Arm System Is Today’s Standard. 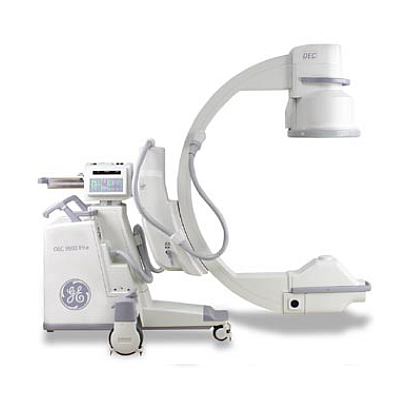 Like the GE OEC 9800 before it, the current platform GE OEC 9900 C-Arm is the gold standard in mobile imaging, and live fluoro. 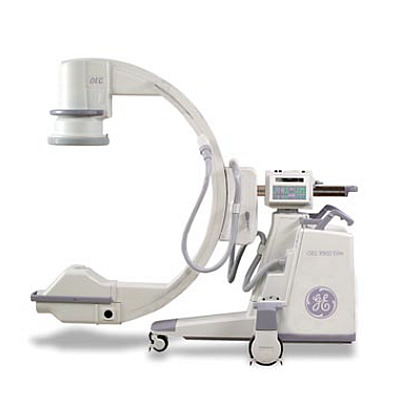 GE took the popular 9800 model and upgraded it with modern touches such as large dual 18″ Anti-Glare flat panel monitors with articulating arm that not only makes it easier to view, but also adds increased sharpness and contrast over the 9800’s tube style monitors. 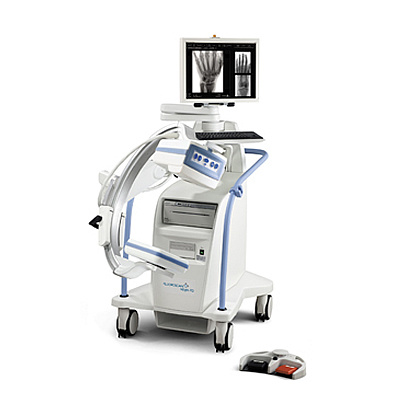 Other updates include imaging presets to make case set up quicker and easier, DICOM for sending to PACS standard, as well as new software platforms such as the Vascular MTS that offers the popular bolus chase preset. 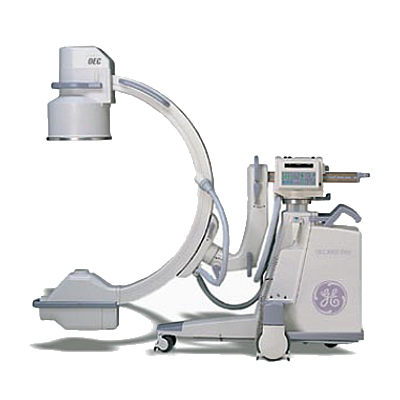 The GE OEC 9900 Elite was first built in 2006 and currently still being produced by GE today. 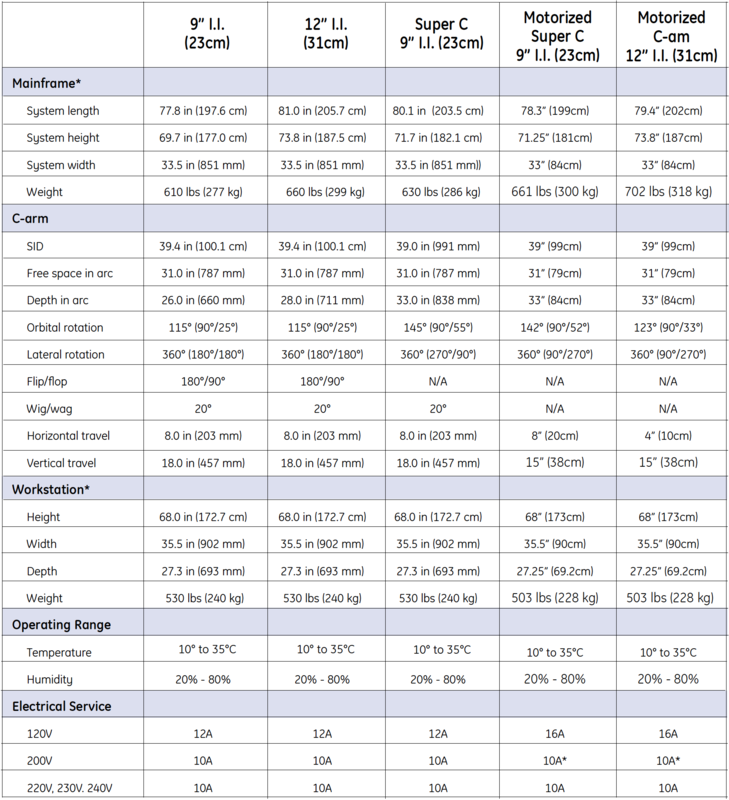 Standard housing cooling 15,000 HU/min. – 10” x 12” (24cm x 30cm) for 9” I.I. – 14” x 14” (35cm x 35cm) for 12” I.I. 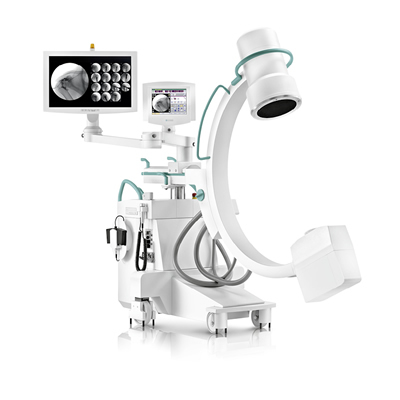 – Dynamically senses the collimator position and automatically adjusts brightness and contrast to produce high image quality. 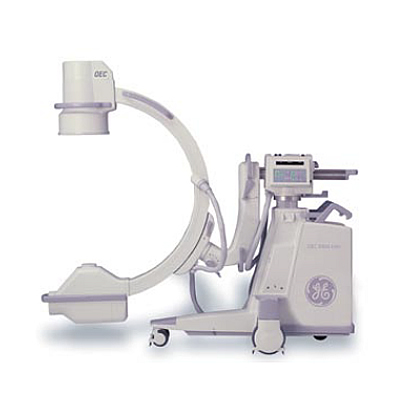 – Fro orthopedics, general surgery, GI, pain management and other general applications. 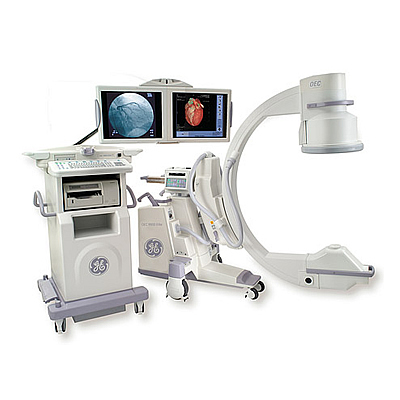 -For vascular surgery and interventional vascular applications. -12/9/6″ (31/23/15 cm) tri-mode image intensifier: A larger field of view than the standard 9/6/4/5″ (23/15/10 cm) image intensifier, for many vascular applications or wherever a larger field of view is required. 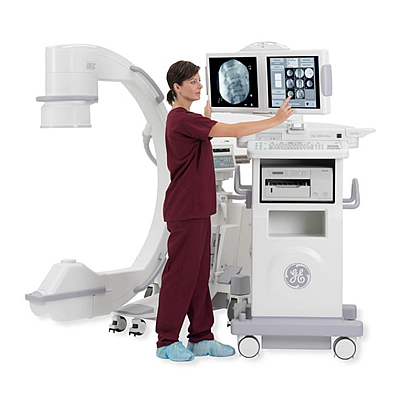 -For complex coronary, peripheral or abdominal angiography. 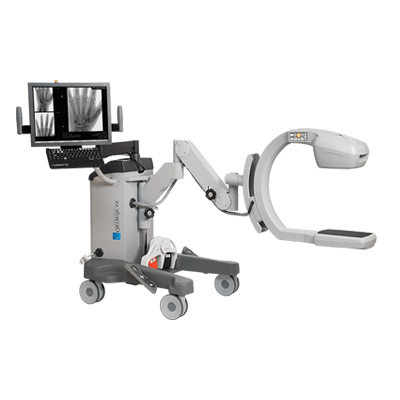 -Super-C design: Larger than the standard C, the Super C design provides greater clearance and greater range of overscan for the oblique angulations required in both cardiac and spine work (9” (23 cm) I.I. only). 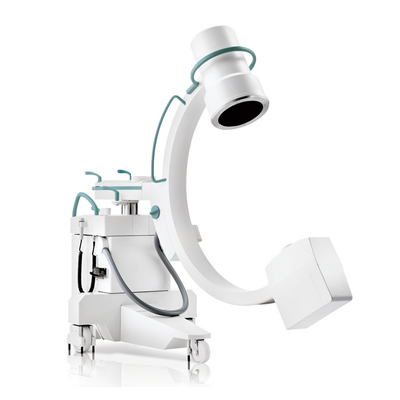 C-arm Angle Display – real-time and saved images.